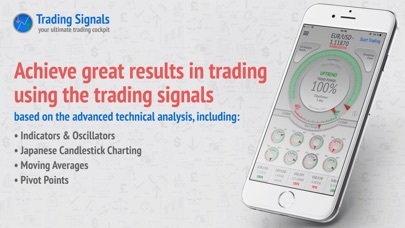 Achieve great results in trading using the trading signals based on the advanced technical analysis, including: • Indicators & Oscillators • Japanese Candlestick Charting • Moving Averages • Pivot Points Just pick a currency pair and start tracking its trading signals right away! 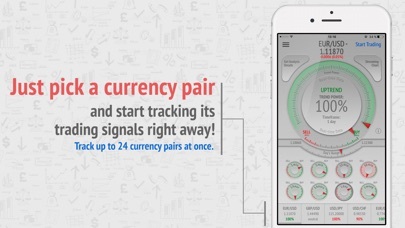 With Trading Signals, you can easily: •	Track up to 24 forex currency pairs at once. 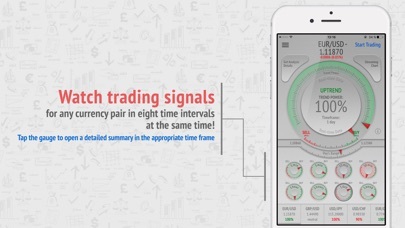 •	Watch trading signals for any forex currency pair in eight time intervals at the same time! •	Follow trend strength and direction in real time. 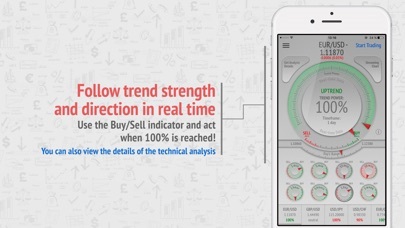 •	Use the Buy/Sell indicator and act when 100% is reached! •	View technical analysis details. 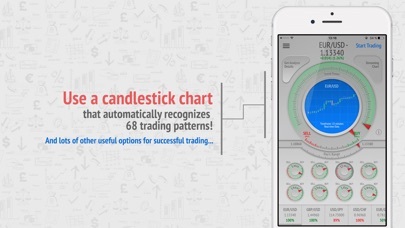 •	Use a candlestick chart that automatically recognizes 68 trading patterns! And that’s just the beginning of your flight with Trading Signals! Happy trading — go grab these deals! Terms of Service: http://tradingsignals.biz/en/terms-conditions General Risk Warning: trading the financial markets carry a high level of risk and can result in the loss of your funds. You should never invest money that you cannot afford to lose. Fake app I waste my $12 for this, no real time XRP is not working and LTC is not accurate. I don’t know where to complain I want my money back. It’s scams. It’s new generation frauds. Get the OTHER app by this dev! This one is okay, but the other signal analysis app by this dev is MUCH better. Great app. Refer to it constantly while doing my daily forex trading.. Confirms my technical analysis and we have seldom disagreed. I wish he’d do something similar for Indices and Commodities. In demo trading on Nadex the one minute signal/analysis has been very accurate for executing 5 minute binary trades in demo. I will try live in the next day or so and rewrite my review then! A simple yet effective tool for trading. I have found these trading signals to be 70-80% accurate so far. That is including the results from 1, 5, and 15 minute signals. The 5 and 15 minute signals are nearly flawless. I highly recommend this app. Love, Love,Love this app! Best signal service that I've used!